A water well pump is a critical component for the smooth operation of residential water wells. 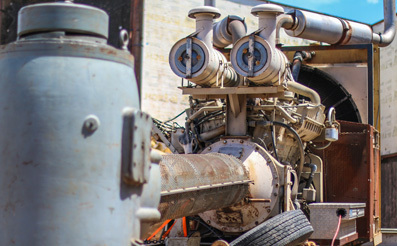 Whether you’re in need of a replacement water well pump or are installing a water well for a new residential property; our company offers a wide selection of quality parts and experts who have the skills to complete installations without issues. It’s for these reasons and more that Pump It Up Pump Service, Inc. has been the go-to source for residential water well services throughout the State of Arizona. One of the reasons why Pump It Up Pump Service, Inc. has established a strong reputation over the years is our dedication to quality. From the components we use, to the people who make up our team, everything we do is focused on professionalism. We apply a proven methodology when selling and installing water well pumps for residential applications. GOULDS PUMPS — 4″ – 12″ residential submersible well pumps, jet pumps, 6″ & 8″ submersible turbine pumps, 6″ through 20″ line-shaft turbine pumps and sump. GRUNDFOS — 4″ – 8″ residential submersible well pumps, jet pumps, “Redi-Flo” 2″ & 4″ environmental pumps, end suction and multistage centrifugal pumps. BERKELEY– 4”- 8” submersible well pumps and centrifugal pumps. NATIONAL PUMP COMPANY – 6″- 16″ line shaft turbines and sump. Honesty: At Pump It Up Service, Inc. our actions are just as strong as our words. Each one of our team members pride themselves in being up front and honest with everybody. From the moment you contact Pump It Up Service, Inc. you’ll clearly see our honesty in action. Respect for our Customers: As business owners and homeowners ourselves, we understand and respect the time of our customers. We work with you during the entire process to ensure your water well pump installation is handled professionally and with as little stress as possible. Teamwork: Every job we undertake is unique. We know that all residential water well systems are diverse and that every system requires experience and a collaborate effort to ensure a smooth installation of replacement parts. Our sales team works well with our expert technicians, verifying all parts are ordered and available for a smooth and worry free installation. Regardless of the type of water well system you have or the type of replacement water well pump you need – we have the experience to install the unit correctly. If you require any residential water well pump installation services in Arizona, don’t hesitate – contact the team at Pump It Up Pump Service, Inc., today – (623) 582-5069.